Suitable for commercial environments. The neoprene covering won't crack, peel or fade under normal use, and its water resistant properties prevent rust to the iron core from sweaty hands. The neoprene feels soft and comfortable in the user's hand. It doesn't get slippery when wet, unlike vinyl covered dumbbells. In cold gyms it doesn't feel cold like all iron or steel dumbbells do. The black color makes them blend into any professional environment. 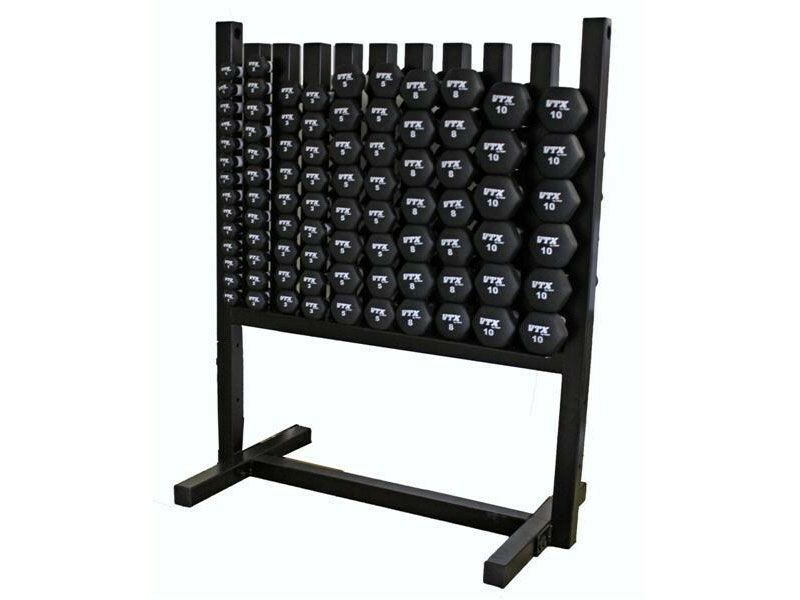 Cover the top of the steel rack with the included steel bar to prevent the dumbbells from walking away between classes. Attach any lock, not included. Attach these to the bottom during assembly to move the rack around easily. This extra shelf on the bottom of the rack is for other accessories you may have, or 6 extra pairs of 12lb. 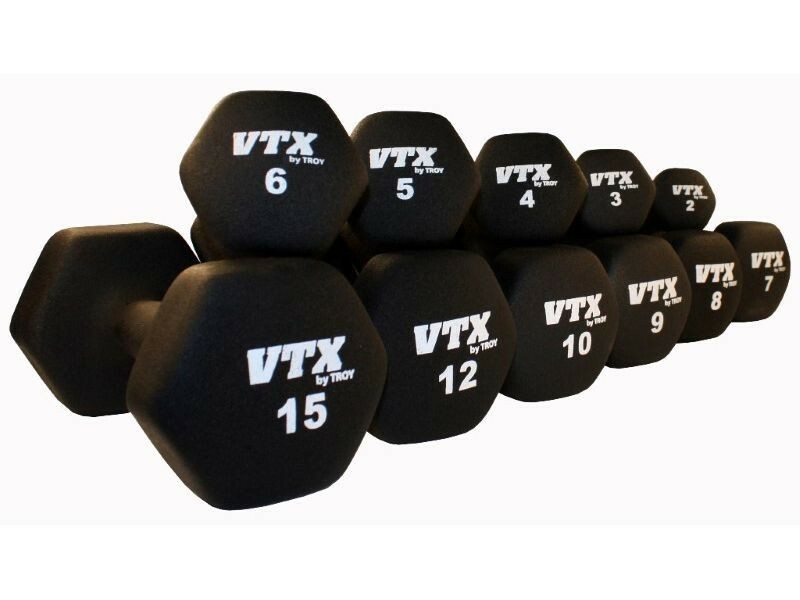 or 15lb neoprene dumbbells.